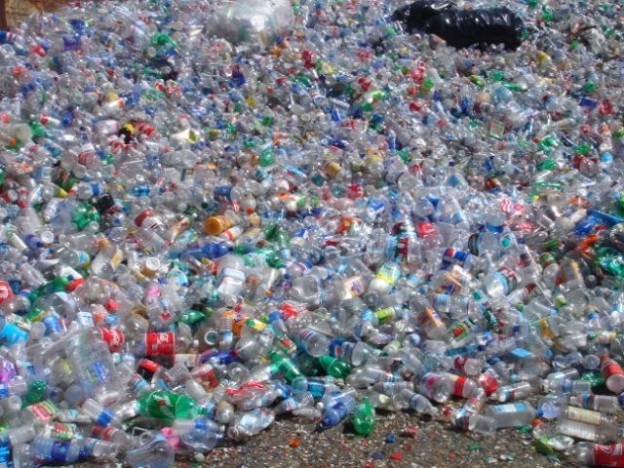 PET Bottle Scrap Industry Switching Gears! The past 2-3 years portrayed a volatile Indian economy but, the current political scenario assures good times. With a strong government at the centre, there are no confusions about economic policies and overall growth. PET sector in India also expects a phenomenal future for the growth. According to plastic experts, polymer consumption by Indian plastic industry is deemed to double in the next 5 years. It means that the magic figure of 20 Million metric tons can be expected by 2020. Fundamentals for the plastic sector of the country seem to be exceptionally good, in spite of the fact that there was a slip in growth last few years. As the GDP growth remained stagnant to 3 -4 percent during the past two years consecutively, every industry felt the heat of economic slowdown. The blow was further hard because GDP was dwindling between 9 to 10 percent in the previous years. However, the growth drivers seem to be back on track. Last year GDP touched 5.4 percent and is expected to cross 6.5 this year. Ambitious plans of the Indian government to spend on sectors like Infrastructure, electronics, and chemicals and petrochemical assure fantastic improvement in the economic scenario. PET scrap industry expects to get a great thrust after a gloomy period in the last two years consecutively. Weakening Rupee value against the US Dollar made the situation worse. Nevertheless, it is getting evident that the challenging time is over and the industry expects a turning point in the forthcoming years. While plastic usage in India was primarily limited to household consumer durables, people expect that there will be new areas like health care, infrastructure, and agriculture demanding for it. Plastic becomes a material of choice because of its sensational properties and low cost. Immense potential of growth can be estimated by the fact that annual per capita plastic consumption is 8Kg in India as compared to 60Kg in developed nations. Similarly, China can become a benchmark for production for us. In spite of being almost equal in population, it produces polymers of different types 3 to 20 times more than India. Last decade saw 7 percent compound growth annually because of rapid development of FMCG sector. 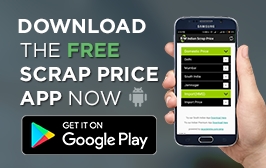 Research analysis indicates that India, Brazil, Russia and China are going to be dominant forces in the overall PET bottle scrap market. Among these countries, India and China have immense potential to emerge as leaders. Asia-Pacific region being the prominent consumer (40% of the global PET demand), these two countries also have a strategic advantage. Low operating and exporting costs increase profitability. Domestic demand also shows an increasing trend. Thus, India can expect incredible demand for flexible PET packaging. Carbonated Soft Drinks (CSD) market is the biggest consumer for blow molds today. Experts are of the opinion that it is going to hold a leading position in coming years with year on year growth. There are other important segments like wine, beer and milk industries which show remarkable growth in the demand. They have been using glass as a primary material for packaging so far. However, heavy increase in production and transportation costs makes it irrelevant. Also, factors like carbon footprint and end-of-life management make plastic a sensible and effective mode of packaging. High sustainability and aesthetics of PET bottles for packaging boost demand for blow molds. It is a well-known fact that industrial growth in one segment causes a cascading effect and ancillary units get benefitted tremendously. The same holds true with PET industry as well. 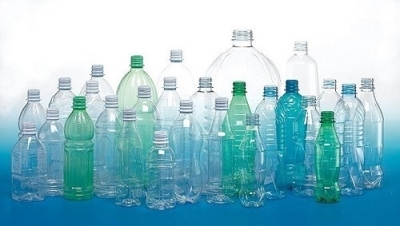 When there is a huge demand anticipated in the supply of PET bottles and molds, similar thrust will be felt by PET raw material providers, manufacturers of blow mold machinery, supply chain management operators and many more. All these sectors faced subdued performance in last two years because of the decline in demands. Hence, it is a great sigh of relief for them. With increased production capacity and high precision products, plastic industry can contribute in the export market as well. 1. Beverages: Beverages industry like Beer and Wine did not prefer plastic bottles due to limited ultraviolet protection and high gas permeability. However, advancement in technology makes it possible to produce high-quality PET bottles that extend the shelf-life of beverages. Distilleries have shown a tremendous increase in the usage of plastic bottles in the recent past and it is going to increase exponentially in the coming years. 2. Food: Plastic bottles haven’t made a significant impact in the food market so far, but the penetration is expected in the next few years. Higher acceptance of squeezable bottles for Jam, Sauce and other products indicate positive signs. Higher sustainability, low breakage and fewer hassles of transportation make them a preferred choice. 3. Medicines: Though pharmaceutical industry has been using plastic bottles from quite a long time, there are various drugs need glass bottles mandatorily. With extensive research and development, it is expected to capture further market share. The upward trend shows high demand for the PET industry in India. High-density PET, glass like finish and premium quality products offer robust and shatterproof alternative for storing expensive medicines. 4. Household chemicals: Dishwashers, surface cleaners, toilet cleaners, and disinfectants capture a large market share. They need HDPL (High Density Polymers) and a significant drop in the price boosts this segment exponentially. There are a few big names like Procter & Gamble and Colgate-Palmolive have already switched over to it for selected products. With high-quality material coming in and domestic companies converting to PET packaging, a sizeable growth can be expected. 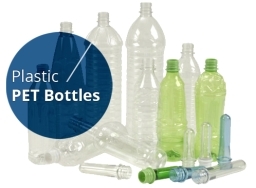 All these indicate a bright future for the PET bottle scrap industry in India. To enhance the effect, government has to put efforts for reduction of raw material cost. Research and development efforts are needed for production cost reduction and efficiency improvement. These steps will help in producing bottles at par with glass. Paramount quality products are needed for competing in global markets. China is a major threat for Indian economy due to incredibly low-priced products. However, inferior quality products and high rejection are the perpetual problems with Chinese bottles. India can be a strong contender with products at par with global standards.